IT companies in Nottingham that truly understand that effective IT is not just about the right technology, but about how people use that technology, are few and far between. Connected Systems is a Nottingham based IT company that not only understand this but that also has the proficiency and the desire to make your experience of using IT easy, transparent and human. We don’t believe there is a one size fits all solution. We can advise and consult on digital and IT solutions at all stages. Helping from the very conception of your project through the initial planning stages with your team to full specification and final integration we can help you avoid making costly long term commitments that ultimately fail to meet your needs. We work across industry sectors and have customers from SMEs, large enterprises, charities, education, healthcare providers, local government and have developed a deep understanding of how needs differ and how to accommodate those differences. Connected System can provide IT support packages tailored to your particular needs, we are the perfect partner to manage all your IT requirements. We provide you with a responsive and reliable IT support solution. More and more companies are now starting to use Managed IT Solution providers than in house IT teams. Our support is designed to ensure your business IT systems run smoothly and if there are any IT failures of disaster does strike, we have the right backup & restore solution to get your business up and running again. Whether you need Managed IT services, Broadband, WIFI and wired computer networking of business phone systems, you can count on us. Our friendly tech support team are here to keep your systems running smoothly. Based in the centre of Nottingham, we are in the right place to support your Nottingham based company. Even though 90% of our work is done securely via our remote support software, we only support local companies. There are no hidden fees, you can choose the package that is right for your business to grow. 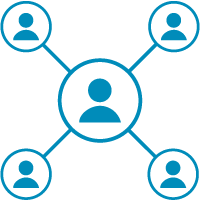 Connected Systems can provide you with the right IT solution for your business needs, and we’ll do it using language a human can understand. Whether you need basic or in depth IT support, an overhaul of your IT security and security practices, migration to the latest cloud based platforms, a fully managed solution or more simply just need to know what you need to know Connected Systems is the Nottingham IT company you are looking for. We can migrate your current in-house systems to the cloud. Our team will manage the process from start to finish. Helping your business to reduce costs and improve productivity and security. 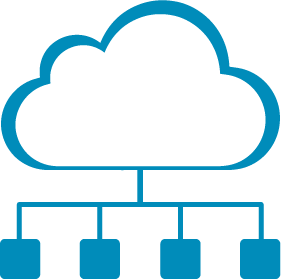 Cloud solutions offer efficient ways for your company to communicate and collaborate.As well as documents and emails, we also have cloud hosted telephone systems. These new systems are more flexible and reliable than the outdated on-premise systems (PBX – Private Branch Exchange systems ) that use traditional phone lines. Cloud hosted systems also have many more features and are very flexible for remote workers. 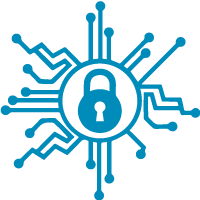 We have the solution to help keep your systems safe and secure. With ransomware on the rise there’s a huge need for your managed security services. All of our support packages include Anti Virus and patch management as standard, ensuring your equipment is up to date and optimised. We also offer DNS filtering for additional security to protect your data. We also offer Backup software than can detect if you data has been compromised with ransomware. Most small businesses do not have the right level of security in place, leaving them ill-prepared in the event of a cyber attacks, especially since there is generally a lack of in-house security expertise. Proactively managing security is always better than reacting!